This is my current EDH deck. It is BY far the best deck I have ever assembled, and I have put a ridiculous amount of time and money into this deck. Feel free to leave any comments or questions, and don't forget to +1 if you like it! 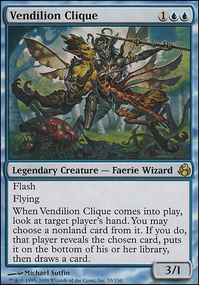 I've had lots of success with some of the bigger name blue creatures in other EDH decks, namely Palinchron and Deadeye Navigator , which are both pretty absurd. I'm also considering maybe adding in Frost Titan as just another good creature. 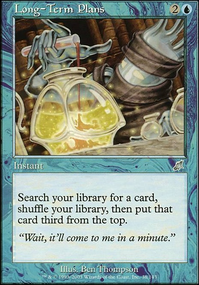 Some powerful spells have been brought to my attention, including Temporal Trespass , Rite of Replication , and Clever Impersonator (Which is more of a spell than a creature). I have lots to think about over the next few games. I'll let you guys know what conclusions I reach!